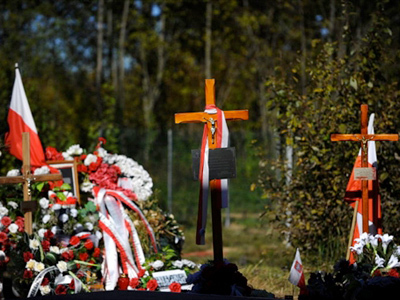 On April 10, 2010, 96 people, including Polish President Lech Kaczynski, his wife, and top government officials died in a plane crash in Smolensk, western Russia. 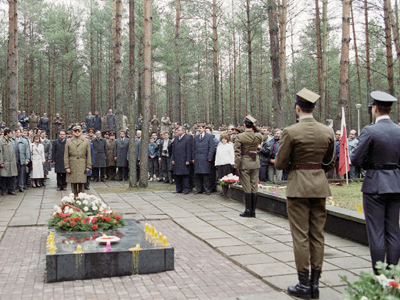 The high-ranking delegation was traveling from Warsaw aboard a Tupolev Tu-154M to attend a memorial ceremony marking the 70th anniversary of the Katyn massacre; the site is approximately 19 kilometers (12 mi) west of Smolensk. 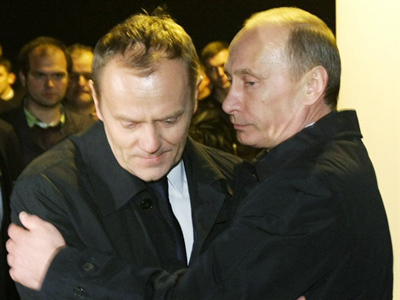 Although the tragedy initially served as a catalyst for moving Polish-Russian relations forward – the image of Prime Minister Vladimir Putin embracing his Polish counterpart, Donald Tusk, amid the debris of the wreckage was broadcast numerous times on Polish and Russian television – theories over who was to blame for the crash continue to linger. Unfortunately, much of the speculation over the causes of the crash seems to be politically motivated, and perhaps more so inside of Poland’s domestic political scene, as opposed to Warsaw’s relations with Moscow. Following an intensive investigation by the Interstate Aviation Committee (MAK) in January, it was determined that the catastrophe was caused by specific actions taken by the flight crew, which made a decision to land due to the "psychological pressure of a third party in the cabin" amid extremely poor weather conditions. Based on tape recordings inside of the cabin, other voices besides those of the pilots were detected. At another point in the cockpit tape transmission, one of the pilots is heard to say, "He will be mad," thus pointing to excessive pressure on the crew to land the plane. The late Polish president's twin brother and opposition leader, Jaroslaw Kaczynski, harshly criticized the Russian investigation, while directing much of his ire at Prime Minister Donald Tusk. 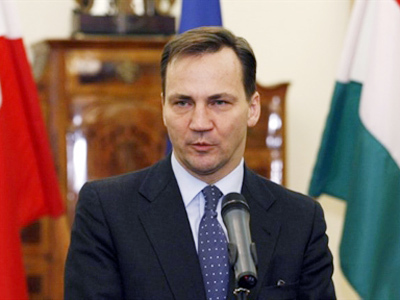 The opposition leader added that the report made "a mockery of Poland." Other Polish politicians, however, have gone on the record with a different view of the crash. Meanwhile, the Polish governmental commission conducted its own investigation of the air crash, and released its version of events on January 18. Their report said Smolensk Severny air-traffic controllers were operating under heavy pressure, committed many mistakes and did not provide adequate support to the pilots of the doomed aircraft while attempting to land in extreme conditions. Russian investigators dismissed these assertions, however, saying that the Smolensk air-traffic controllers provided ample warnings as to the inclement weather conditions, while stressing that the control tower has no authority to forbid the crew of an international flight from attempting to land. Meanwhile, Russia's Investigation Committee spokesman Vladimir Markin told reporters that the Polish and Russian investigative teams jointly carried out their work in an exhaustive and professional manner. "Based on the results of the joint work, the two sides noted that all of the scheduled investigative activities were carried out in full and questions that may arise during joint work both from the Russian investigators in the Republic of Poland and the Polish prosecutors in the Russian Federation were discussed," he said. Markin said the Russian Investigation Committee and the Polish Main Military Prosecutor's Office are continuing the investigation of the accident. Moscow says it has satisfied nearly all of Warsaw's requests for international legal assistance in the crash investigation, the head of the Main Department for international Legal Cooperation at the Prosecutor General's Office, Saak Karapetyan, said. Karapetyan told Itar-Tass that his office transferred another 14 volumes of case file copies to Polish Embassy Counselor Longina Putka this week, in addition to another 28 volumes of case files that the Russian authorities already delivered to Poland. Russian prosecutors say that more than 150 people, among them policemen, rescuers and emergency response teams that were at the crash scene, have been questioned in the course of the investigation done by Russian investigators. The first six volumes of case files delivered to Poland in June 2010 contained copies of DNA tests of the bodies and 28 records of interrogation of Severny employees and some other witnesses. "Since April of last year, the Prosecutor General's Office has received eight requests from the Polish side for legal assistance,” Karapetyan said. “They were satisfied promptly and properly, and almost all of them have been satisfied up to date." For Russia’s part, it has sent five requests to Poland and received nine volumes of case files. These are being translated into Russian, Karapetyan said, who stressed that most of the investigative activities were conducted with the participation of Polish officials. 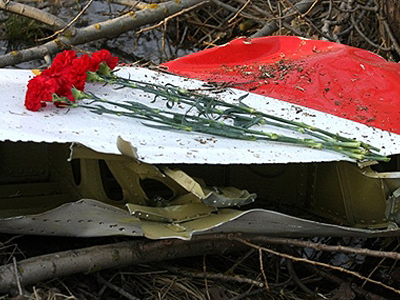 The final aspect of the investigation, which covers an examination of the debris from the wreckage, is scheduled to be performed before the plane’s remains may leave Russia. "An explosives examination [of the plane’s wreckage] is now underway in this case, and only after it has been finished can we consider transferring the remains of the plane to the Polish side," he said. The deadline for the investigation has been extended until October 10. Despite the understandable tensions that the Polish catastrophe has had on their bilateral relations, Moscow and Warsaw remain optimistic that the situation will continue to improve. In an interview published by Rossiiskaya Gazeta on Friday, Deputy Foreign Minister Vladimir Titov said that Russia and Poland will continue to improve bilateral relations despite existing disagreements. "I am convinced that despite the difficulties we will have enough political will and common sense to continue gradual progress…at making our bilateral relationship one that is based on friendship and a solid partnership,” Titov said. “We cannot lose this historic chance to clear the barriers of the past and build forward-looking relations worthy of our two great peoples." Titov acknowledged that the air crash that killed Polish President Lech Kaczynski aggravated bilateral relations. Russian President Dmitry Medvedev is scheduled to meet with Polish President Bronislaw Komorowski in Smolensk on April 11. Polish politicians have also remarked on the improving atmosphere in bilateral relations between the two countries, which have shared a rather tumultuous history. Polish Senate Marshal Bogdan Borusewicz told Russia's Izvestia newspaper that opinions of Russia are beginning to change amongst the Polish people. "The Poles remember the compassion expressed by Russian people. It was treated very positively. The split over the Katyn tragedy has started to narrow as well,” he said, while also mentioning Russia’s broadcasting of “Katyn,” a film by Polish director Andrzej Wajda on the World War II massacre of Polish soldiers by Soviet forces. “Even the staunchest critics of Russia in Poland cannot help admitting that our relations have improved," Borusewicz said.